Regulating the Private Rented Sector? Andrew Arden QC and Annette Cafferkey consider the first report of the Communities and Local Government Committee on the Private Rented Sector. The Communities and Local Government Committee recently published its first report on the private rented sector. The report makes for fairly exasperating reading, particularly for those who have been advocating the need for change for some time. At the beginning of the last century, owner-occupation was still very much in the minority and private renting the norm. Rent control, initially a war measure to protect ship workers from exploitation by landlords in 1915 but continued in 1920, slowed the growth in owner-occupation until decontrol by the Rent Act 1957 led to the largest recorded decline in the private rented sector and a substantial rise in owner-occupation – from under half in 1961 to 70% in 2005. Since then, however, it has fallen back to less than 65%, at the last available figures (2011). A new form of private sector control was re-introduced in 1964 and continued until 1980, since when there have been repeated moves to revive private renting, starting with the protected shorthold tenancy and the first version of the assured tenancy, which was a provision designed to encourage newbuild for rent. Neither was effective but the Housing Act 1988 – which introduced the new form of assured tenancy at market rents – boosted by the presumption in favour of shortholds by Housing Act 1996 – have been. Thus, in 1961, private renting was at 31%; it had dropped to nearly 12% in 2005; but by 2011 it had risen to nearly 18%. As for social housing, local authority stock was up to 24.5% in 1961 but had fallen to less than 10% in 2005 and has remained fairly constant since. 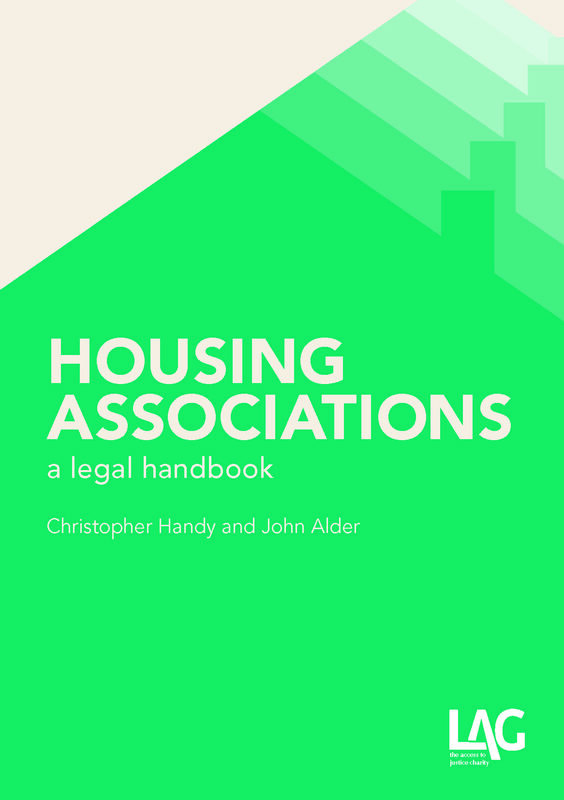 Housing associations were too small a part of the stock to be recorded separately in 1961: in 1981, they accounted for just over 2% of the stock – by 2005, it was just over 8%; by 2011, it had risen to just under 10%. Between local authorities and housing associations, they held just under 18% of the stock in 2005, broadly the same as in 2011. What this analysis shows is that during the latest stage – 2005 to 2011 – private renting has been drinking at the trough of owner-occupation: that is from where it has drawn its increase, not the social rented sector. What this also tells us is that the number of dwellings which are privately rented is now, more or less, the same as those in social housing, but – while there is abundant regulation and control or the (non-profit-making) social rented sector in the (profit-driven) private sector, it is negligible. This is the backdrop against which the CLG Committee began its inquiry into the private rented sector, giving rise to the a somewhat natural expectation that the Committee would make recommendations to fill this gap. The first point made in the report is that, in order to have a credible private rented sector, both landlord and tenant need to be aware of their respective rights and responsibilities. Unsurprisingly, the Committee went on to conclude that this was currently not possible in the UK, in view of the complicated state of our landlord/tenant law. It recommended that the Government undertake a wide-ranging review of all relevant legislation, with a view to producing something much simpler. In addition, it should consult with all relevant agencies in order to produce a “plain language tenancy agreement on which all agreements should be based” and proposals to introduce an “easy-to-read fact sheet for landlords and tenants” should be brought forward. If you think you’ve heard this before, you have. The same, or similar, recommendations – fully explained and developed into draft legislation – were made by the Law Commission in Renting Homes: The Final Report (2006), following a five year intensive programme of study and consultation led by Professor Martin Partington, and formally rejected by the Labour Government in 2009 (albeit now being taken up by the Welsh Assembly, currently consulting before implementation). The first peak of exasperation is that the answers have all been provided, now quite long ago, and should be brought back to the table rather than beginning the process of reconsidering from scratch. This point is not wrong. The recommendations based on it, however, are ineffectual. The Committee concluded that the flexibility presently offered by assured shorthold tenancies was the key, essentially, to meeting all the needs of those looking for a home in the private rented sector. All that was needed was a “change in culture”, so that landlords would be encouraged to offer longer fixed-term tenancies where appropriate. Accordingly, the Committee made the following recommendations. The Government should convene a working party to examine proposals to speed up the process of evicting tenants who do not pay rent promptly or fail to meet other contractual obligations. The current court process takes too long and discourages landlord from granting longer fixed-term tenancies. Whilst there is no perfect way of setting rent in longer tenancies, linking rent increases to inflation or average earnings, or voluntarily agreeing a fixed uplift each year, merit consideration and could provide both the landlord and the tenant with some stability. Given that almost 20% of all households now live in private rented accommodation, and that those households vary enormously in their character, the recommendations summarised above are not so much weak as tame, not so much unimaginative as minimalist, not so much liable to achieve nothing of substance for tenants as intended to assuage landlords. In particular, the hope that absence of security will be overcome by a “change in culture” seems not so much nebulously aspirational as ignorant of housing history, e.g. post-1957. Nor is much comfort offered in relation to rising rents: the conclusion is to leave rent levels to the determination of supply and demand, i.e. market rents. The Committee did not “support rent control which would serve only to reduce investment in the private sector at a time when it is most needed…. [The] most effective way to make rents more affordable would be to increase supply….”, yet another aspiration substituted for substance. The next recommendation to look at proposes a move away from the Housing Health and Safety Rating System (in effect from April 2006). This is downright astonishing. HHSRS was developed – with considerable input from Warwick University School of Law’s Professor David Ormandy, the leading figure in the independent housing environmental health movement since the early 1970s – over many years of detailed research, designed to allow us to abandon the mid-19th Century simplistic concept of unfitness which had effectively only enjoyed one overhaul, in 1954, which had barely if at all advanced its fitness for purpose. 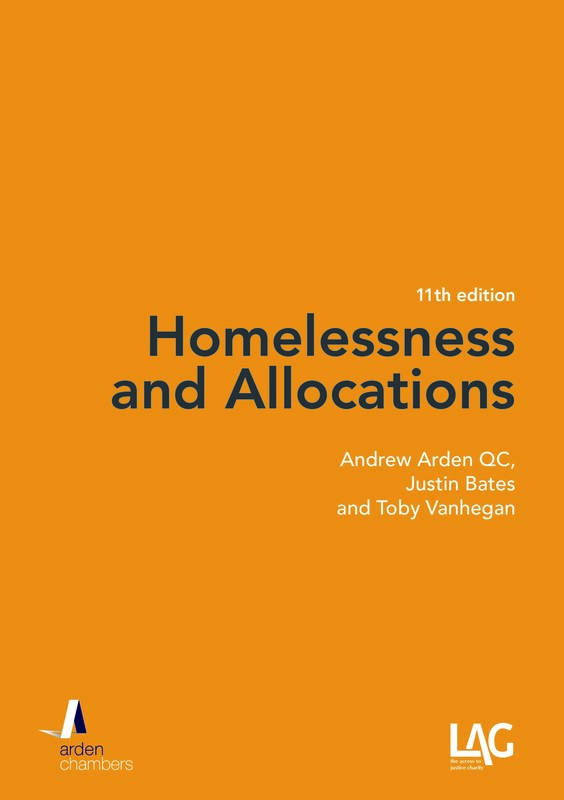 This new, hard fought for, risk-based assessment of housing conditions has rightly enjoyed huge support from housing professionals. The Committee, however, wants to revert to a so-called quality standard which would be easier for all to understand – putting comprehension way above effectiveness and comprehensiveness (not that HHSRS is difficult to understand: most people can follow fairly easily the notion that you look at the features of a dwelling and ask how high is the level of risk its defects cumulatively pose to its occupiers – rocket science it ain’t). The Committee also noted a variance in the approach of local authorities; some, it noted, were better at taking enforcement action than others: it is difficult to find words sufficiently scathing to describe such a trite observation, one that could have been made at any time in the last – say – 150 years and that will still be true through the next 150 years. It recommended that the Local Government Association should, as part of its sector improvement role, ensure that mechanisms are in place to encourage councils to follow good practice, as if the LGA did not already work as part of the Local Government Group alongside – among others – Local Government Improvement and Development and Local Government Regulation (previously LACORS – Local Authorities Coordinators of Regulatory Services) to do precisely that sort of work, as it and its predecessors have for many years. The enforcement of housing standards does, however, depend on resources, which are ever-diminishing. To overcome this, the Committee made the following recommendations. Enforcement arrangements should pay for themselves; the burden of payment should be placed on landlords who flout their responsibilities. There should be consultation on the implementation of penalty charge notices, without recourse to court action, for breach of minor housing conditions which are not remedied within a finite time, subject to a right of appeal to a court. Local authorities should be given the power to recoup housing benefit/universal credit from a landlord convicted of letting property below legal standards. The Committee also concluded that improvements could be achieved in the private rented sector if local authorities had more freedom of when and how selective licensing schemes (Housing Act 2004, Parts 2 and 3) could be implemented, although it noted that the fees levied under any such scheme should not be such as to discourage private investment. This of course contradicts the previous set of recommendations for penalties and cost-recovering charges. If housing history tells us one thing, landlords – letting, let us remember, on non-secure terms – will, if confronted with fines and increased charges, evict before they can be penalised (a subject which this blog has previously visited Retaliatory Eviction) : you cannot secure real change without security. Indeed, the Committee acknowledges concerns about retaliatory eviction in relation to complaints, including asking for repairs, but was “not convinced that a legislative approach was the best or even an effective solution” harking back instead to its proposed change in letting culture and encouragement of longer lettings. The growth of the private rented sector has brought to greater prominence the role of letting agents, and, in particular, bad practices in parts of this unregulated industry (a subject this blog has also previously visited, see Student Lettings and Fraud and the Private Rented Sector), such as the mishandling of deposits and hidden or opaque fees. Concern about letting agents prompted a provision (not yet in force) in the Enterprise and Regulatory Reform Act 2013, conferring an order-making power to require letting agents to belong to an approved redress scheme, to be presided over by an Ombudsman. The Committee called for the secondary legislation to be brought forward, that it is accompanied by a robust code of practice with which agents will be required to comply and that they are subject to the same regulation as estate agents on sale of properties. In relation to the code of practice, this should require agents to publish a full breakdown of their fees and to explain them fully to tenants before showing them any property, failure to do so rendering the fees “illegal”, presumably meaning irrecoverable (or refundable) although it does not spell this out. There’s nothing wrong with this – we are glad the Committee has found something useful to say, if it isn’t its own original thought. We do not think highly of this report – in case the reader has not noticed. In conducting its inquiry, the Committee was more concerned to “find ways to bring [the private rented sector] to maturity and encourage it to grow” than to recognise that its deficiencies are inherent and will not be redressed otherwise than by regulation and control. If by “maturity” it means that the market must be encouraged to become stable and reliable and fair, the recommendations – particularly in relation to security and rent – will not achieve this goal. Hoping that the free market will confer settled conditions, with security and reasonable rents, on – for example – young families who are unable to buy, is as hopeless an aspiration as is its plea for a “change in culture”. Private landlords – individuals or corporations – ought not to enjoy the enormous power over the lives of others, their tenants, that they do without controls: too many of them have abused it for too long; too many of them always will. Andrew Arden QC and Annette Cafferkey consider the Court of Appeal’s recent decision in Malik v Persons Unknown  EWCA Civ 798. Does our domestic law permit Art.8 to be used to defend a claim for possession of land in the private sector, or not? The European Convention of Human Rights became part of our law on October 2nd, 2000. The question has, technically at least, been “live” since then, but still it remains undetermined. The domestic courts have been content to allude to it, but have persistently shied away from actually deciding it: the minority in Qazi and Kay – whose opinions ultimately prevailed in Pinnock – Pinnock itself and Powell all disclaim automatic application of the principle that Art.8 entitles the occupier of a home to a proportionality decision by an independent tribunal to privately owned property, notwithstanding ECtHR jurisprudence, including Zehentner, where Strasbourg applied exactly the same principles, notwithstanding that only the private sector was involved. The appeal in Malik v Persons Unknown presented an opportunity for the question to be authoritatively decided. Ultimately, as it transpired, both the course of that appeal and the facts underlying it enabled the majority of Appeal Court to duck the issue again. The case concerned a claim for possession against trespassers. The leading authority on such claims is McPhail v Persons, Names Unknown  Ch 447 which provides that trespassers have no right to occupy land belonging to another and that, where a claim for possession is properly brought, the court will therefore order possession forthwith as it has no jurisdiction to refuse or suspend the order sought as it has in the case of a former tenant. Mr Malik, the freehold owner of some land near Heathrow Airport on which a group of trespassers known as “Grow Heathrow” (or “Transition Heathrow”) had set up home in March 2010 sought, in accordance with the decision in McPhail, an outright possession order. The judge found the occupiers to be mature, intelligent and highly articulate individuals who had chosen a lifestyle they considered to be beneficial both to themselves and to the community around them; they had done much to improve the land they occupied and, in doing so, had won the support of the local community. The claim was defended in the county court on three bases: (i) alleged procedural failings; (ii) the grant of an implied licence; and, (iii) eviction would interfere with the occupiers’ rights under Art.8. In relation to the last, the occupiers contended that the application of Art.8 conferred on the court a discretion to suspend any possession order made so as to allow the occupiers a reasonable period of time to vacate the land, with the result that rule in McPhail was no longer good law. The first two lines of defence failed, an outcome against which no appeal was pursued. The third succeeded insofar as the Judge held that “as the court is a public authority and the land is being occupied as a home, Art.8 is capable of application even though the landowner is a private individual and the occupiers are trespassers.” Beyond this, however, she held that it was proportionate to make an outright possession order because anything else would run completely contrary to the principle of private ownership of land. The judge also addressed s.89, Housing Act 1980, which applies where there is no statutory power to suspend an order for possession (e.g. 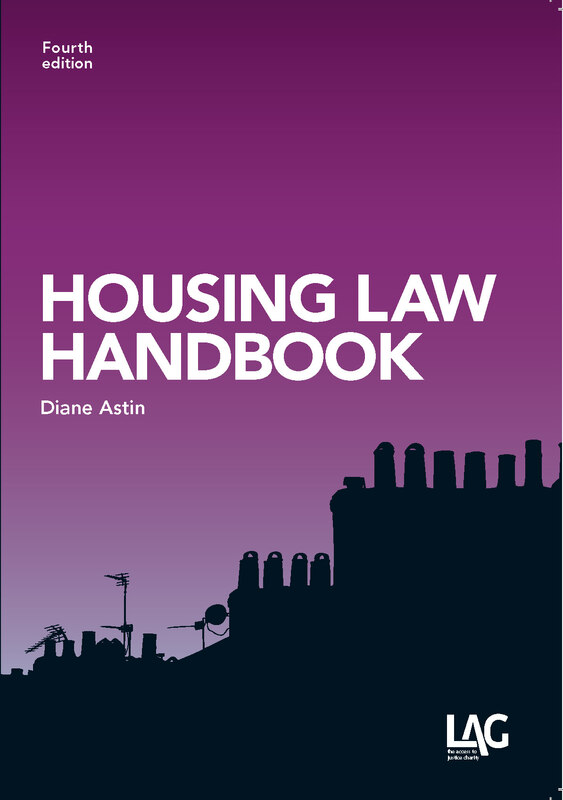 Housing Act 1985, s.85, Housing Act 1988, s.9) and which limits the powers of the court to do so to 14 days with a discretion for an extension up to six weeks in a case of exceptional hardship. This was, on the face of it, a contradiction – for plainly there was no statutory power to suspend so that s.89 would prima facie apply – although the ruling was apparently intended to convey that s.89 did not confer an “exceptional hardship” discretion in its own right. The defendants appealed against the decision on proportionality, i.e. the refusal to suspend the possession order. Mr Malik was granted permission to appeal against the decision that Art.8 applied but elected not to proceed on it. To succeed on appeal, the occupiers needed to persuade the Court of Appeal of two matters: first, that Art.8 applied, with the result that the decision McPhail could no longer stand; and, secondly, that the possession order should be suspended. The appeal was unanimously dismissed, but again without a decision on the key legal issue, the application of Art.8 in private sector cases. In the absence of argument, two members of the Court of Appeal refused to express a view on that issue, deciding instead that – even if it did apply – the order would have been proportionate. Sir Alan Ward, agreeing with that, nonetheless went on to consider the key issue and concluded as follows. Even if Art.8 has no direct application between a private landowner and the trespassers on his land, the court as a public authority for the purposes of the Human Rights Act 1998 is obliged to act in a way which is Convention compliant. The basic rules are not in doubt: when considering whether to make a possession order in relation to the defendant’s home, the court must consider whether it is proportionate to do so if that issue has been raised in defence to the claim and has crossed the threshold of being seriously arguable. Proportionality is, therefore, in issue. Against this backdrop, the rule in McPhail that the court has no jurisdiction to suspend a possession order against a trespasser can no longer stand because proportionality may demand, albeit most exceptionally, that a trespasser be given time to vacate. Proportionality confers on the court, as a public authority, a discretion to consider giving time to a trespasser even at the suit of a private landlord but, following Powell at  that s.89 of the Housing Act 1980 was not incompatible with Art.8, a.89 applied to impose a 6-week maximum in a case of exceptional hardship. The court must approach a claim made by a private landowner against a trespasser in a similar way to that adopted to claims made by a local authority. The fact that the landowner has a legal right to possession is a very strong factor in support of proportionality: it speaks for itself. Even if defendants have established a home on the land, but otherwise have no legal right to remain there, it is difficult to imagine circumstances which would give them an unlimited and unconditional right to remain. The lack of a decision on the key legal issue leaves in place an unsatisfactory uncertainty in relation to the home: where possession is sought by a public authority of a person’s home, the court may consider the proportionality of what is claimed, but it is not clear that it must otherwise do so. Thus, the rule in McPhail remains good law where the claimant is a private individual, but not where the claimant is a public authority (when Art.8 will apply), even though what is at stake in each case is a home. The conclusion reached by Sir Alan Ward seems inevitable in the long run: as well as Zehentner, see also the decision in Buckland v. UK blogged here in October 2012. How can it be possible for a court, a public authority, to make an order for possession which it has concluded is disproportionate? It is plainly wrong.